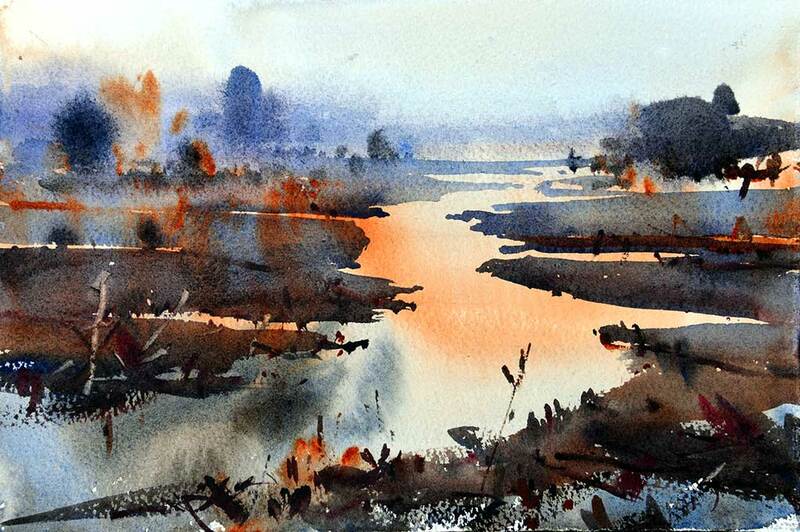 Björn Bernström is a full-time watercolour artist living in Stockholm, Sweden. Björn has exhibited his work in more than 80-solo shows in Sweden and abroad. 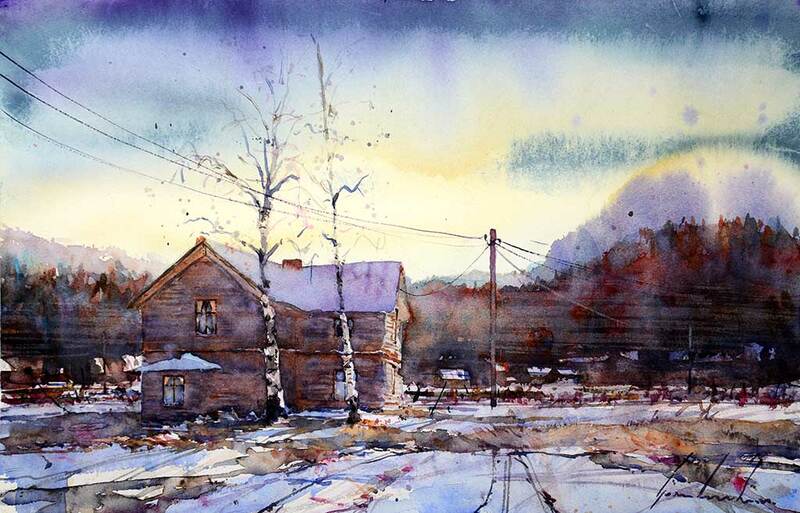 Since 2014, he is a board member of the Nordic Watercolor Society, which covers the countries of Sweden, Norway, Denmark, Finland and Iceland. 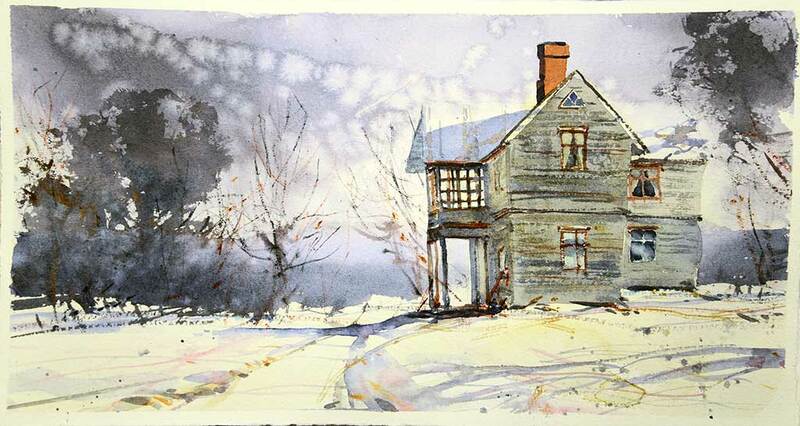 In 1994-1995, Björn studied art at Öland Skogsby, Sweden and early on he decided to focus on watercolours. After several years of exhibiting his own art, other watercolour artists began to ask Björn to teach watercolour courses. 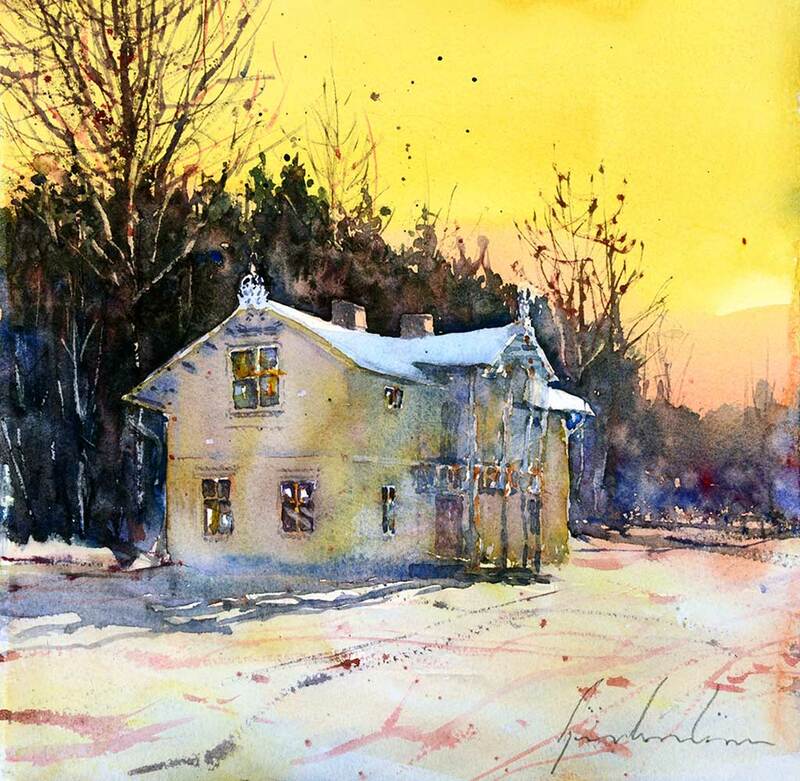 Ten-years later, Björn is one of the most sought-after watercolour instructors in Sweden and has been invited to tutor workshops in Sweden, Norway, Denmark, Finland, Iceland, Australia, USA, Italy, Dominica, Tasmania, Great Britain and Russia. Björn’s subjects are often taken from Nordic landscapes where the light is amazing. Unlike southern Europe, where the light is warm and hazy, the light in the Nordic countries is sharp and intense. The paintings represent the often solitary vacant homesteads out in the countryside. People rarely appear in Björn’s pictures. Subjects are abandoned buildings who tell the story; not the people. In contrast to the desolate Nordic landscapes, Björn is also fascinated by urban environments. Visiting Chicago two-years ago, Björn made a series of cityscapes that were later exhibited by the National Watercolor Society (California) at the Muckenthaler Culturcentre, Los Angeles. 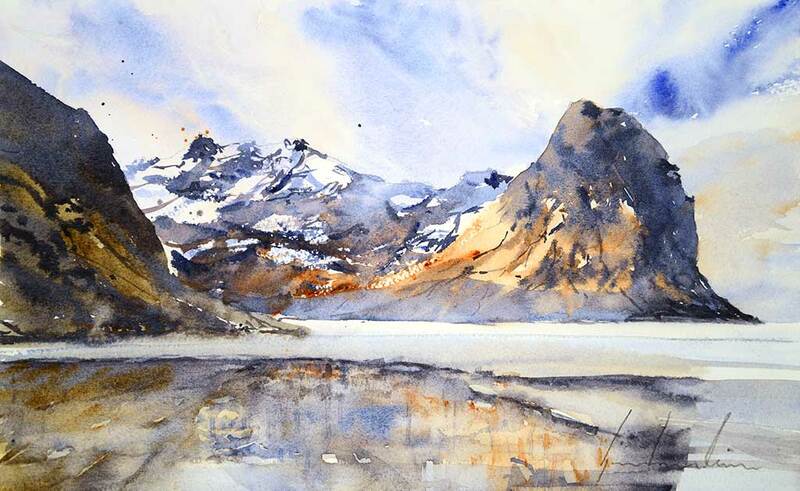 Bjorn’s watercolour technique differs from traditional watercolour techniques. Things that are often considered mistakes, he sees as an asset. “Back-runs”, “blooms”, “bleeds”, “wash-outs” are techniques that Björn often uses almost as often as he uses the brush. Several of Björn’s techniques has been developed by himself, in his quest to create a casual and relaxed painting style. Perfect photographic paintings often leaves him cold. True, he is impressed by technically proficient painters, but he is more interested in personal style and expression. A workshop with Björn Bernström often means breaking the traditional rules of painting. A mix of sharp details and loose surroundings. 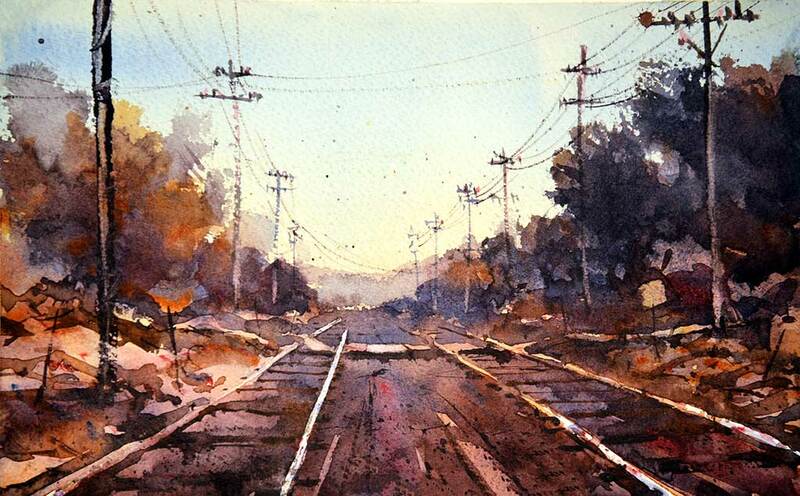 It’s a great opportunity to experience how to paint without barriers or inhibitions. If you want to get away from painting details, this is a course for you. During the course, Bjorn demonstrates many of his techniques, several of which he developed by himself. 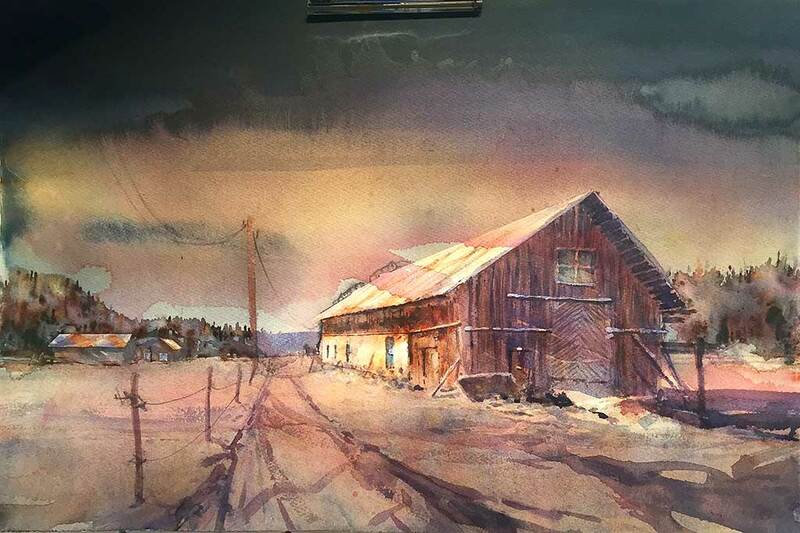 He will demonstrate how to utilize the pigments properties to get formations of vegetation, shrubbery, land and foregrounds in landscape paintings. Björn uses much pigments in his paintings, always tube colour, to get richer more colourful results and contrasts. Come and watch Björn create dramatic skies on full sheets by pouring paint from a bucket. Be prepared for a wet course.